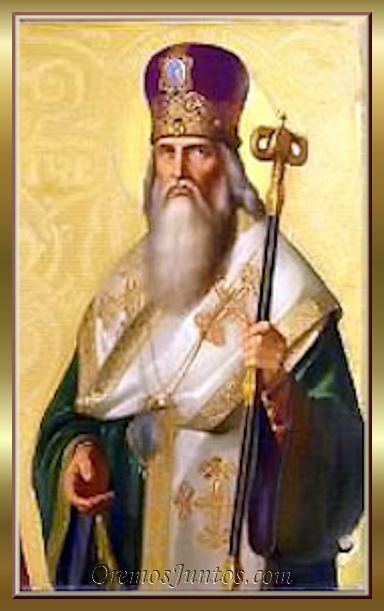 Patriarch of Constantinople, date of birth unknown; died 25 February, 806. He was the son of the Patrician and Prefect of Constantinople, George, and his wife Eukratia, and entered the service of the State. In 784 when Paul IV Patriarch of Constantinople died Tarasius was an imperial secretary, and a champion of the veneration of images. It may be that before his death the patriarch had recommended Tarasius as his successor in the patriarchate to the Empress Irene who was regent for her son Constantine VI (780-797). After the burial of Paul IV a great popular assembly was held before the Magnaura Palace to discuss the filling of the vacant see. The empress delivered an oration on the new appointment to the patriarchate and the people proclaimed Tarasius as the most worthy candidate. The empress agreed but said that Tarasius refused to accept the position. Tarasius now made a speech himself in which he declared he felt himself unworthy of the office, further that the elevation of a layman was very hazardous, and that the position of the Church of Constantinople had become a very difficult one, as it was separated from the Catholics of Western Europe and isolated from the other Oriental patriarchates; consequently he would only be willing to accept the position of patriarch on condition that Church unity be restored and that, in connection with the pope, an oecumenical council be called. The majority of the populace approved of these views and the imperial Court agreed to it. So on 25 December, 784, Tarasius was consecrated patriarch. In 785 he sent the priest George as his legate to Hadrian I with a letter in which he announced his appointment. In his reply the pope expressed his disapproval of the elevation of Tarasius directly from the laity to the dignity of a bishop contrary to canonical regulation, but allowed clemency to rule in view of the orthodoxy of the new patriarch's views, and recognized him as patriarch. After this by joint action with the pope and the imperial Court Tarasius called the Second Council of Nicaea, the Seventh Ecumenical Council, which rejected Iconoclasm. Union with the Roman Church was restored.